Tripura police are still clueless about the four missing bank employees even after 48 hours of the incident. 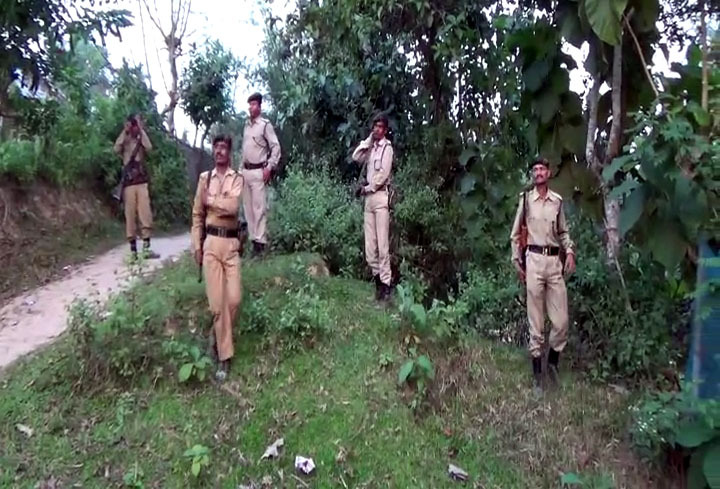 Director General of Tripura Police Akil Kumar Sukla, however, rules out the possibility of involvement of militants in the abduction of the bank employees but confirms that the family members have received ransom calls from the abductors. Sukla though could not confirm the ransom amount but added that search operation is on to trace the missing bank employees. It may be mentioned that four Tripura Grameen Bank staffs including Taidu branch manager Tanmoy Bhattacharjee, assistant managers Raktim Bhowmik, Sujit Dey and Subrata Debbarma went missing since Friday night. It is alleged that the bank staffs were kidnapped while they were on their way to home from office on Friday night. A complaint has been filed at Taidu police station. Taidu is a village in Amarpur sub-division of Gomati district, nearly 65 km from capital Agartala.